The Buzzards Bay 15 or Herreshoff 15 design has been around for more than 120 years. The Herreshoff Manufacturing Company of Bristol, Rhode Island, built ninety-two of the center-boarders between 1899 and 1928. 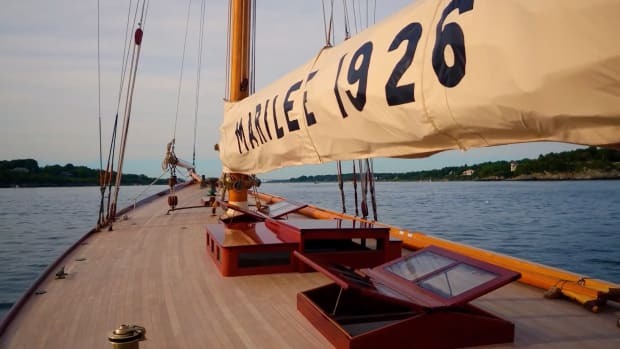 Some of the original 24-footers have been restored and still sail, but new ones continue to be built by a number of yards. 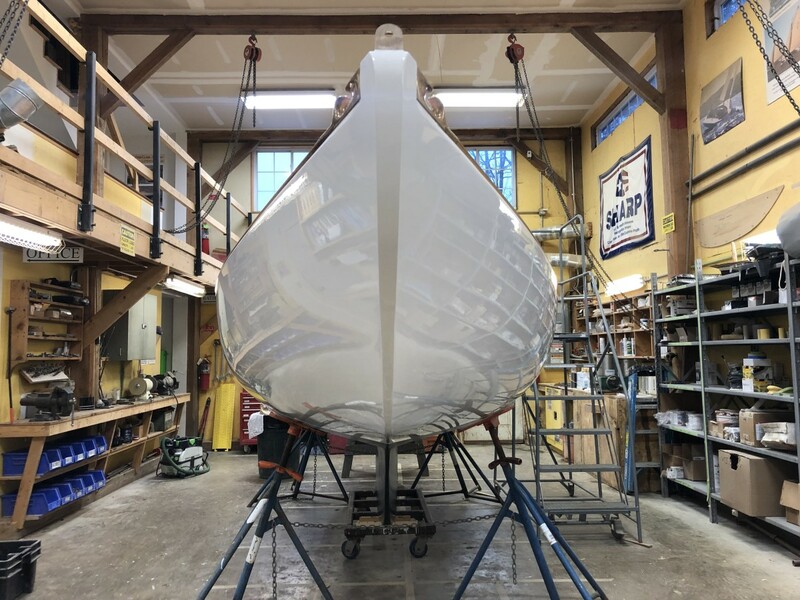 One of those builders, Artisan Boatworks of Rockport, Maine, just finished its seventh BB-15, Aglaia, a full-keeled version, for an owner on Cape Cod, Massachusetts. 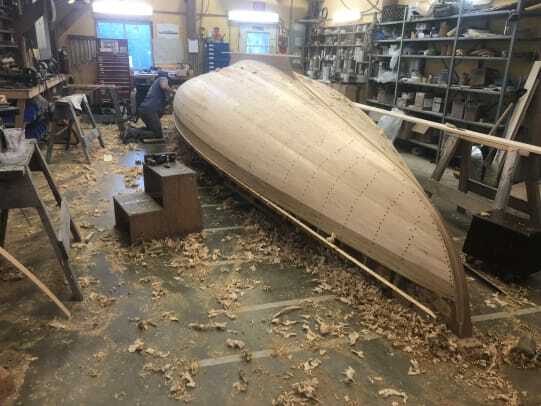 Artisan Boatworks President Alec Brainerd says it takes about 2,500 manhours to build a BB-15 (the number in the name refers to the boat’s 15-foot waterline). Brainerd is a bit of an authority on the design, having co-authored a paper about the Herreshoff 15. The following photos show some of the craftsmanship and attention to detail that go into building these beauties. Aglaia will make its debut at the Cape Cod Boatbuilders Show in Hyannis, Massachusetts, from March 22-24 and hit the water in the spring.